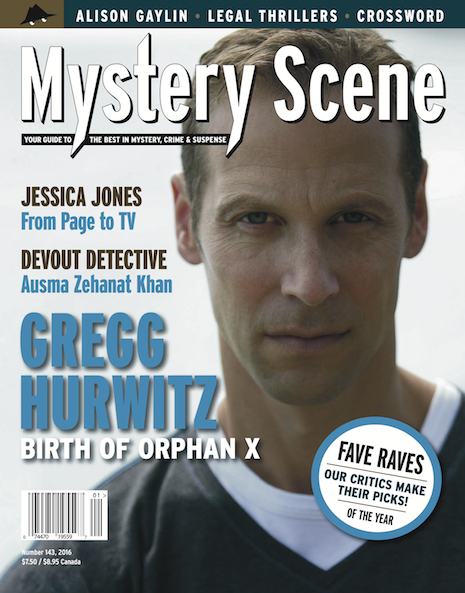 The latest issue of Mystery Scene invites the magazine’s regular critics and contributors to celebrate some of their favorite reads of last year—and I’m grateful for another chance to champion four books that stood out to me, including Christopher Irvin’s Safe Inside the Violence, Dean Jobb’s Empire of Deception, Margaret Maron’s Long Upon the Land, and Olen Steinhauer’s All the Old Knives (and turns out I wasn’t the only person to include that last one in his listings—Jim Huang was with me as well). The new issue has plenty more to recommend it, including Tom Nolan’s essay on Margaret Millar, Kevin Burton Smith’s article on the TV show Jessica Jones, and Oline Cogdill’s interview with Alison Gaylin. As always, a terrific issue. Pick it up now!